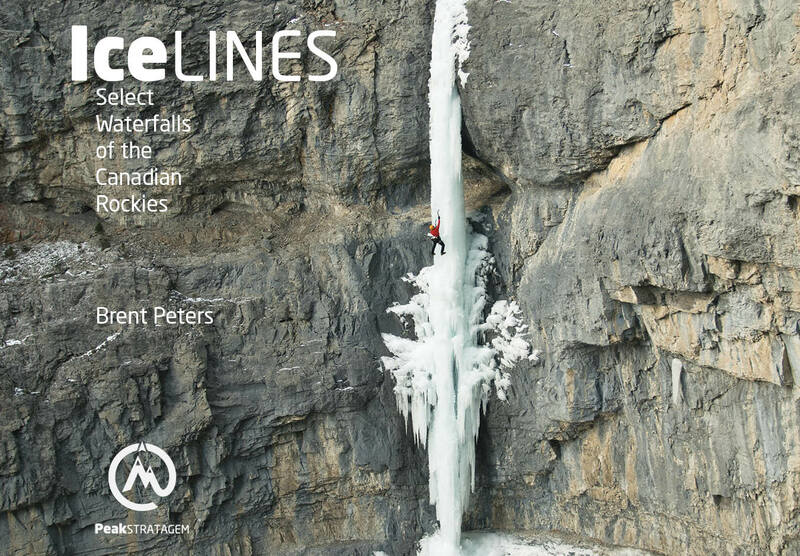 Develop multipitch ice climbing skills for safe and efficient travel on multipitch ice climbing routes. Confident identifying environmental hazards when multipitch lead climbing. Confident setting up the harness for lead climbing. Confident placing and removing ice screws using the supported and A-frame stances. Confident tool testing, tool swapping, and resting on lead. Confident executing the NoFall Program for Ice ClimbingTM and preventing falls. Confident building ice anchors and v-threads, cleaning anchors, and rappelling with a back-up. Confident assessing waterfall ice grades. Comfortable with the lead climbing system. Comfortable with route selection and lead climbing strategy. Comfortable tying off the belay. Understand the multipitch lead climbing system. Understand route selection and lead climbing strategy on a multipitch climb. Perform multipitch lead climbing and rappelling on WI3 terrain. Discuss route selection including where to place belays. Confident belaying a lead climber. Confident top roping WI4 and leading single pitch WI3 terrain. Confident climbing using A-frame technique. Confident building simple anchors using ice screws. 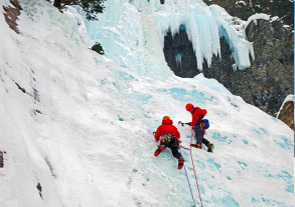 Confident choosing the right clothing system for ice climbing. If you have questions about how your experience relates to the prerequisites, please contact us at info@peakstratagem.com.